„Friends“ premiered on NBC in September 1994 and went on to become one of the most beloved and popular sitcoms on the network. Throughout the show’s 10-season run, fans got to see Rachel, Ross, Monica, Chandler, Phoebe, and Joey navigate their relationships and careers in New York City. They spent a lot time in the fictional coffee shop known as Central Perk, too. 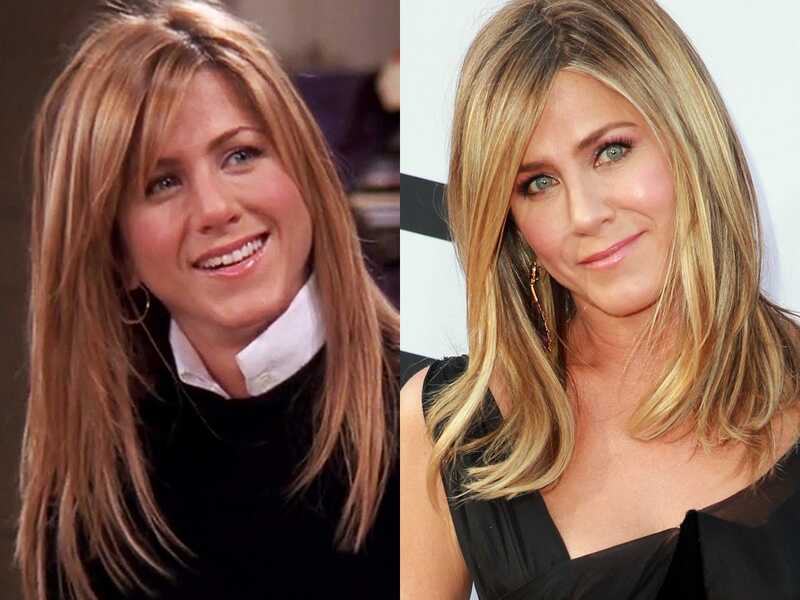 Here’s what the cast has been up to since „Friends“ aired its final episode 15 years ago. At the start of the series, Rachel left her fiancé, Barry, at the altar. In an effort to be independent and not live off her father’s wealth, she got a job at Central Perk and cut up all her credit cards. By the show’s end, she had a daughter named Emma with Ross, who she had an on-again, off-again relationship throughout the series. She starred in comedies like „He’s Just Not That Into You,“ „Horrible Bosses,“ and „We’re the Millers.“ Aniston has also been recognized for her philanthropic efforts with St. Jude’s Research Hospital and Stand Up to Cancer. The actress has always been vocal about shutting down questions regarding her personal life. In 2016, she penned a powerful essay clapping back at people who have body shamed her and speculated about whether or not she’s pregnant. „I’m fed up with the sport-like scrutiny and body shaming that occurs daily under the guise of ‚journalism,‘ the ‚First Amendment‘ and ‚celebrity news,'“ she wrote. Most recently, Aniston starred as former beauty-pageant queen Rosie in the 2018 Netflix movie „Dumplin. '“ She will also team up with Reese Witherspoon to executive produce and star in an untitled Apple drama.